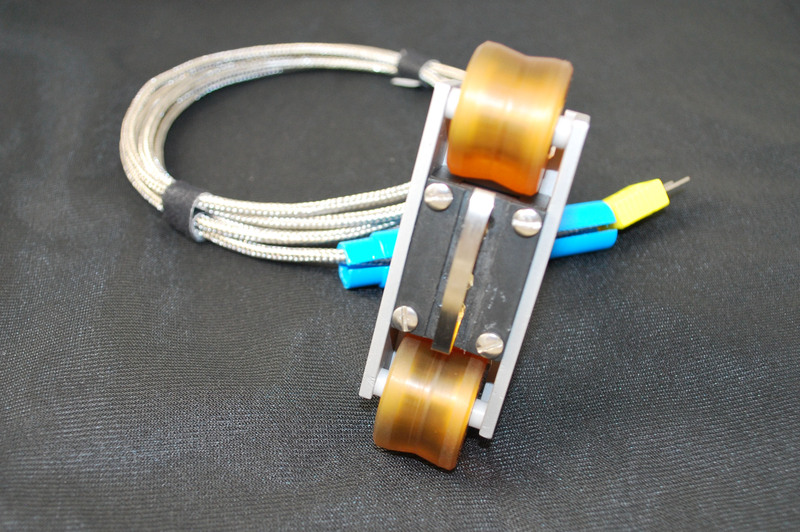 EDL's Wire Roller Contact Sensor (RW style) was designed to measure moving wire at high rates of speed. 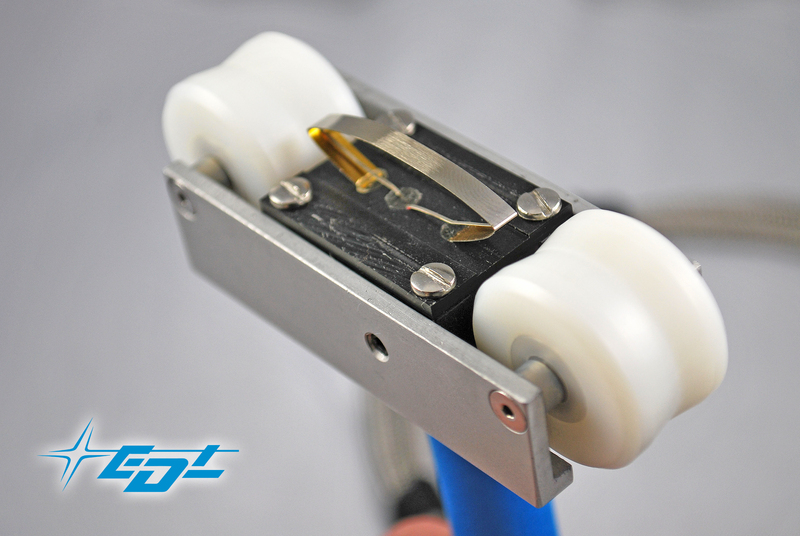 Due to the shaped ball bearing wheels, the wire being tested is guided and kept on the band for easy contact and quick, decisive measurements. These sensors have a fast response time of < 2.8 seconds for 95% of reading (in stagnant conditions). The standard sensor is built to withstand temperatures up to 315 °C, but temperatures as great as 1370 °C may be achieved with the Alumina wheels (sold separately). 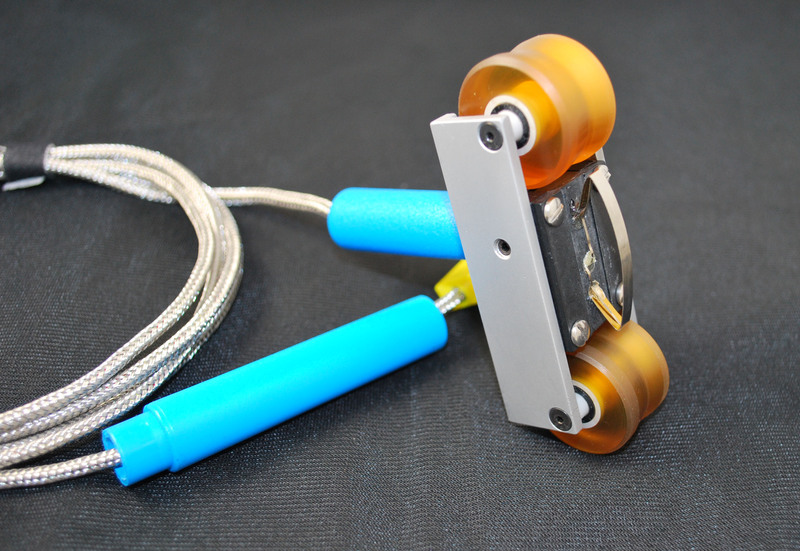 The RW sensors are made to accept replaceable bands and wheels - saving you time and offering easy long term maintenance. The sensors have an Aluminum channel that is simply mounted in position. Standard wheels accommodating temperatures up to 600 °F are supplied with the initial order. Please refer to the additional wheel options (Aluminum and Alumina) for higher temperature requirements. • Aluminum wheels operate over a large temperature range, and are available for temperatures up to 1200 °F. • Alumina wheels offer operation over the greatest temperature range, and boast extremely low thermal conductivity. Alumina wheels are available for applications requiring temperature monitoring up to 2500 °F. 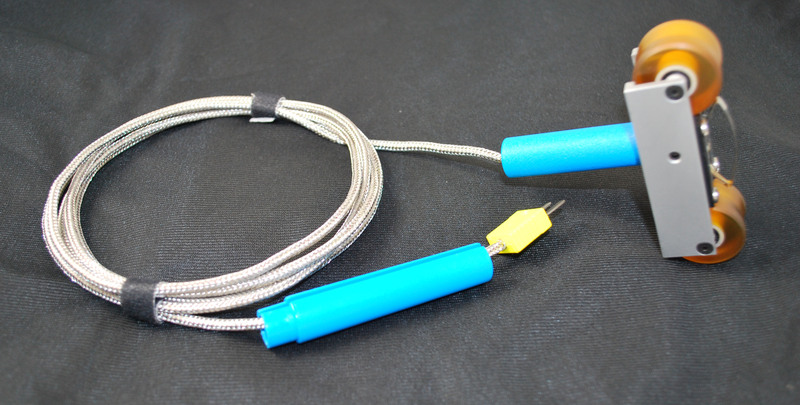 Additional lead lengths and wheel types are available, please email for help. EDL's Metrology Laboratory can supply any sensor and instrument complete with a report of calibration that is traceable to NIST. For more information contact us at sales@edl-inc.com.